Again, SEKEM and Rapunzel Naturkost are collaborating in the ongoing development program, Hand in Hand (HIH). This time, the long-standing SEKEM partner and the leading Organic Food producer in Europe funds a project for conserving the endangered Egyptian Bees of the Nile Valley, the Apis Mellifera Lamarckij. The project has been recently launched, grounded on studies previously conducted by SEKEM together with the Demeter beekeeper Gunter Friedmann, and Dr. Juergen Tautz from the University of Wuerzburg. These studies have revealed many advantages of the Egyptian bee, such as her high adapting and resistant abilities. In addition, the honey is very nutritious and boosts the human immune system. Due to the strong change in the cultural landscape and the extreme use of insecticides, the Egyptian bee has been increasingly displaced in recent years: in 1995, about 96.000 bee colonies were kept, today there are only 900 left. 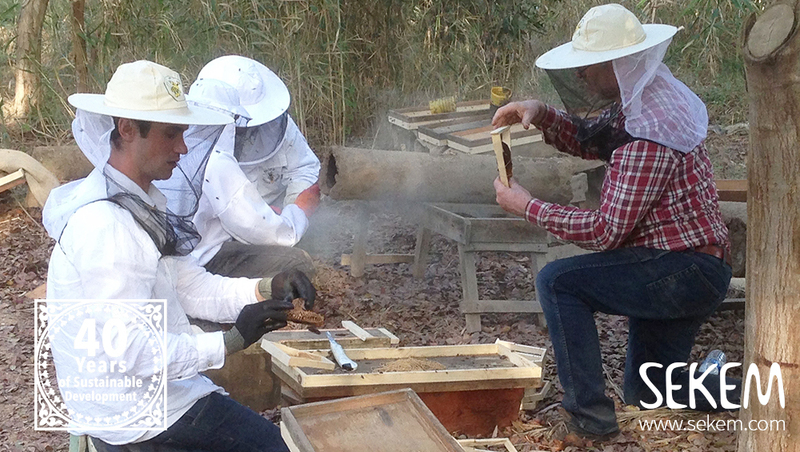 Students from SEKEM’s Vocational Training Center received training on manufacturing wooden beehives. “The Egyptian species is highly efficient in pollination,” says Angela Hofmann, the project supervisor and SEKEM’s Agriculture Coordinator. “Besides, Egyptian bees show an outstanding hygienic behavior that doesn’t need much care. However, farmers mainly breed hybrids as their production of honey is much higher. But the hybrid bees have a weak immune system and need a high amount of medications to survive and produce honey.” Thanks to the generous fund of Rapunzel, 100 beehives of the Egyptian bee will now find a new home at the SEKEM Farm. Female students at SEKEM’s Vocational Training Center working on installing the new beehives. Protecting the Egyptian bee is a collaborative project in many regards: 30 students of SEKEM’s Vocational Training Center installed the new wooden houses for the bees and received practical training by this. Moreover, 20 females of SEKEMs farmers were trained in beekeeping. Hence, they are now able to build up their own start-ups for breeding Egyptian bees. And SEKEM’s biggest company, iSiS Organic will support these women by processing the honey they sell and integrate it into its honey production line. 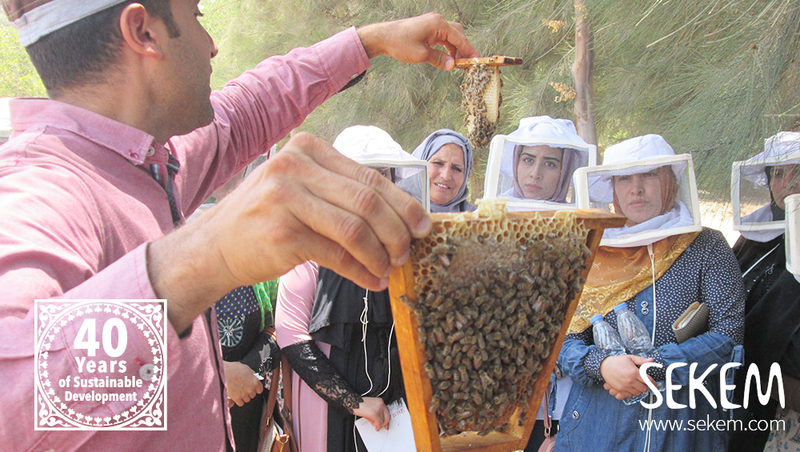 Females of SEKEM farmers were offered training sessions on beekeeping. For almost 20 years, Rapunzel has been importing SEKEM’s biodynamic sesame. In addition to this economic cooperation, the two companies share their vision of a sustainable future. 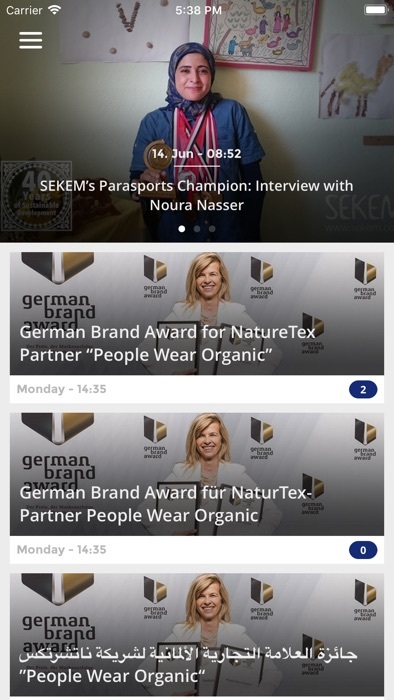 Together, the partners are committed to environmental protection and social projects – an exemplary collaboration that goes beyond purely economic relationships and for SEKEM is part of an “Economy of Love“.